'Like' us and keep posted on our official Facebook and Twitter pages and subscribe to our youtube channel!
. "While other shows investigate locations that are popular tourist attractions, ‘Mission Terror’ dives right into unknown locations armed with only their finger on the record button. 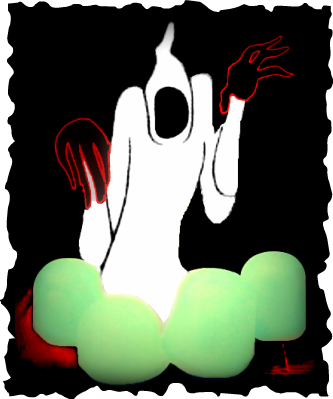 The show produces some truly unexplainable and frightening results..."
Pat the Ghost! The official GRAGG mascot! Click the logo to checkout the official IMDb page for the GRAGG team's series: "Mission Terror: The GRAGG-ventures"